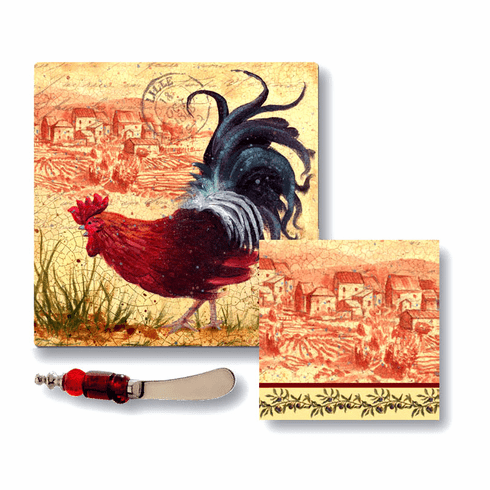 Beautiful french rooster glass cutting board, cheese knife & napkin gift set is a beautiful and useable gift set. art. Glass board measures 8.5" sq.